Chinese astrology may have dubbed the year 2009 as the Year of the Cow, but it was something else in Japan. People have been calling last year as the Year of the Hybrids in the country. This is due to the fact that, for the first time, a hybrid car has gotten the distinction of being the bestselling car in the whole country. I am talking about the Toyota Prius, of course. This car was launched with a lot of promises and much potential. It seems that it has lived up to its reputation – based on sales figures released in the past week, 208,879 units of the Prius were sold by Toyota in 2009. The figure makes the Prius the number one car in Japan. More than that, though, it is the number one hybrid car in the entire world! Is the Prius as great as it seems or is there another reason for its success? Experts and consumers alike extol this hybrid’s virtues but there is another factor that has to be taken into consideration. The truth is that packages and incentives provided has made the price of the Prius so low that consumers are more attracted to it. With all the incentives, one might be able to save as much as 4,200 USD! Aside from the Prius, another hybrid car sold really well in Japan last year: the Honda Insight. Compared to Toyota’s sales figures, Honda only had 93,283 – not even half. 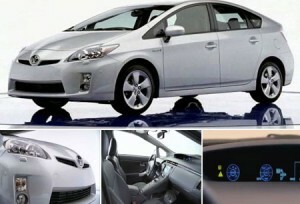 Still, overall sales figures support the fact that hybrids are very much on their way to being the standard.